If the Super Bowl was a chili cook-off, it would come down to the sweetness of baked beans representing New England against the spicy punch of jalapenos coming out of Los Angeles. 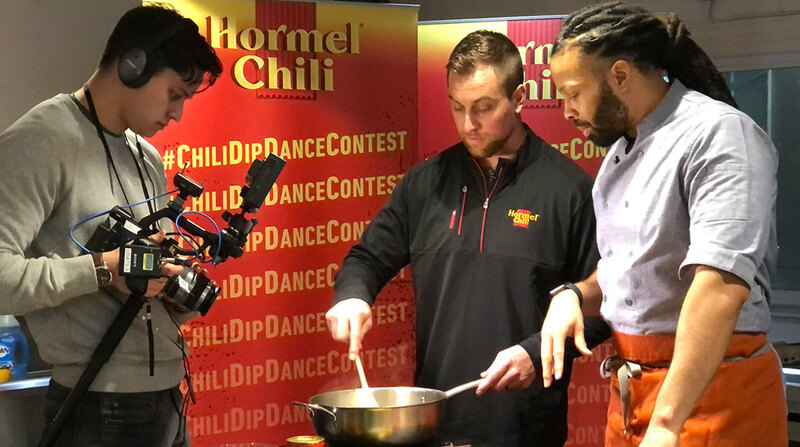 Hormel’s master chef Kenneth Temple, a native of New Orleans, was hoping to be cooking up a bayou brand of the popular dish for Sunday’s game, but penalty flags — a lack of them, actually — got in the way. Ever the sport, he has been producing delicious batches of Dynasty Dip and City of Angels Chili Dip this week at the Super Bowl. With Vikings star receiver Adam Thielen at his side in a small kitchen at Irwin Street Market and the renowned Jake’s Ice Cream — invent a flavor and owner Jake Rothschild will make it — Temple talked food and football. So it’s two distinctly different chilis for the Super Bowl, as distinct as the areas the teams represent.